Be surprised on what you can do! I didn't think I could do it!' The precisely cut fabric fits so well that people are surprised and proud of themselves. Therapists or a volunteer will need to iron 2 pieces of fabric together. The batting is precut but the felt is not, allowing for a wider range of assessment. 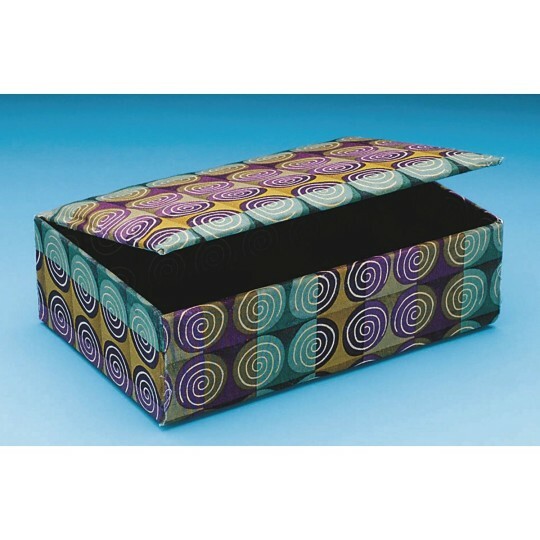 Pack includes 6 boxes, precut fabric and batting, felt and fusible webbing. Order ruler, pencil and glue separately. 8-1/2"W x 5-1/2"D x 2-1/2"H. Level 4.4-5.4.